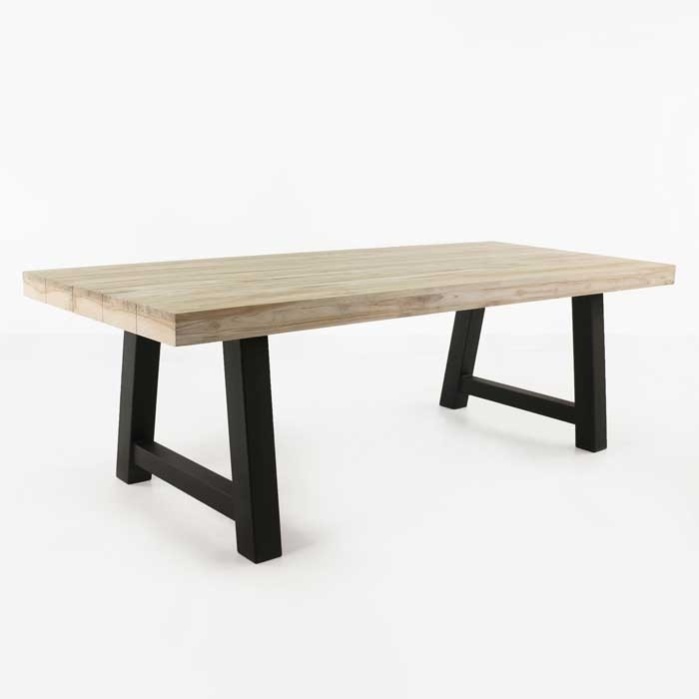 Sturdy, solid and beautifully simple. 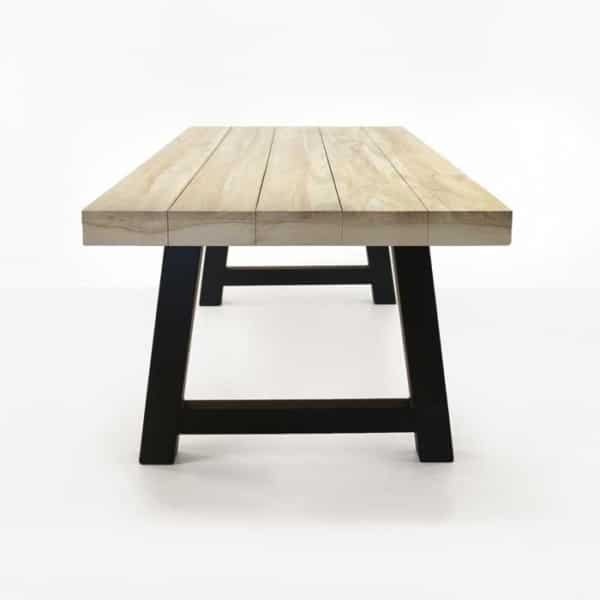 This magnificent outdoor dining table is made with premium materials. 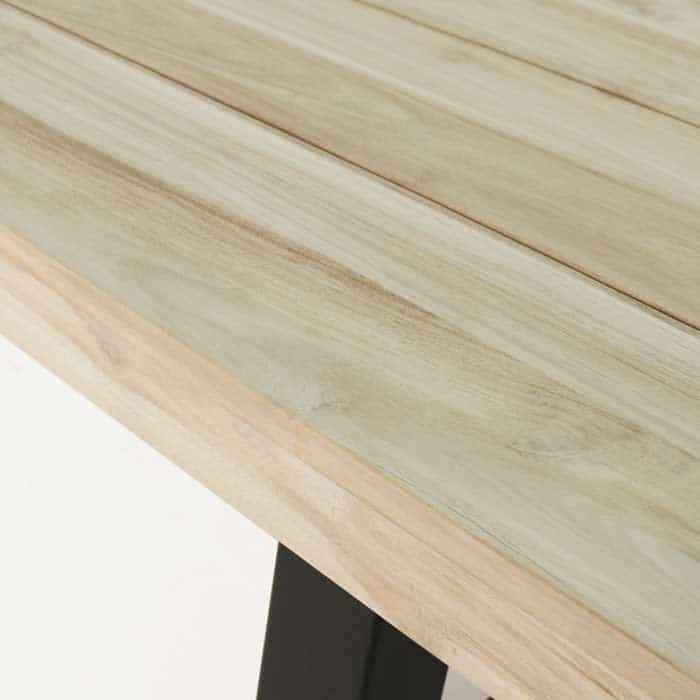 Gorgeous bleached reclaimed teak elevates the overall look, which presents the raw teakwood in a fantastic bright shade. A silvery patina emerges as this table gracefully ages through the years. 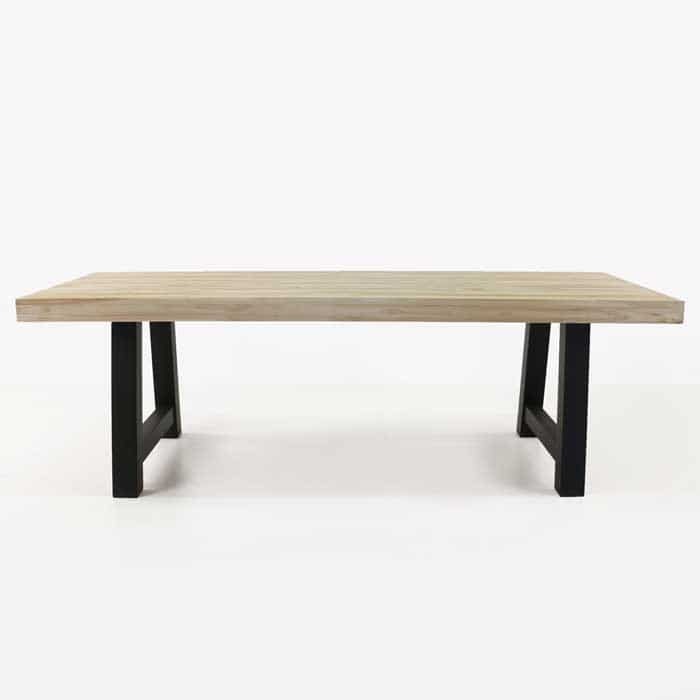 The black steel trestle legs/frame make this a truly beautiful addition to the outdoor dining area. 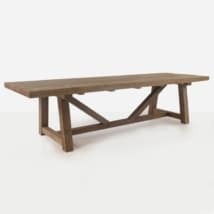 The classic design gives a traditional feel to this outdoor dining table. 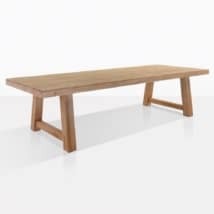 The solidly constructed recycled (reclaimed) teak tabletop is substantial and makes a statement about quality with its blocky look, solid feel and finely crafted finish.